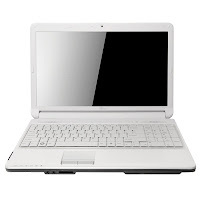 Fujitsu Lifebook AH530 boasts a 15.6-inch display with a resolution of 1366 x 768 and SuperFine LED backlight TFT display. The display has 220-nit brightness and 350:1 contrast ratio. 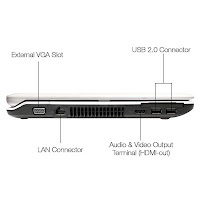 This laptop computer is equipped with Intel Core i5 or i3 processor, Intel HM55 Express Chipset, 2 GB DDR3 1066 MHz upgradable up to 8 GB, ATI Radeon HD 6530M with 1 GB VRAM, SATA HDD with S.M.A.R.T support, and Dual Layer DVD Super Multi Writer. The communication features are 802.11 b/g/n WLAN, 1000/100/10 Mbps Gigabit Ethernet, and optional Bluetooth. 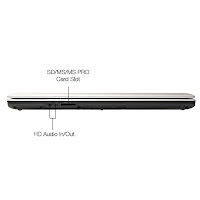 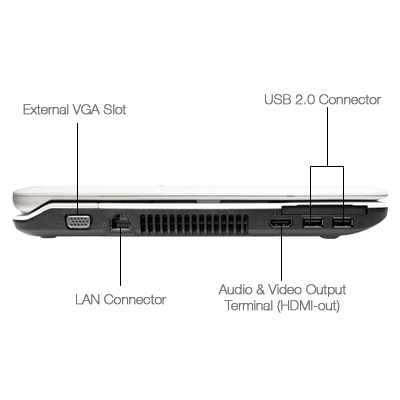 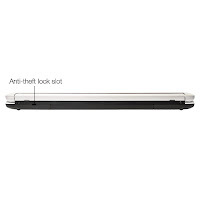 Fujitsu Lifebook AH530 is equipped with three USB 2.0 ports, RJ-45 LAN, HDMI-out,and VGA. 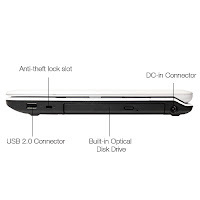 Other specs include 1.3 MP webcam, ExpressCard slot, and card reader which supports for SDHC, MS, and MS Pro.